Our Fans Make the Best Photographers – Our Favorites from Instagram! 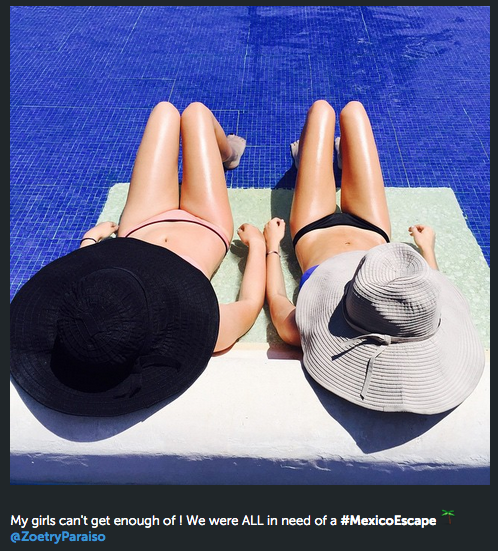 We’re thrilled to share some of our favorite fan photos from Instagram including a few fantastic shots from Lisa Rinna’s recent family trip to Zoëtry Paraiso de la Bonita Riviera Maya! 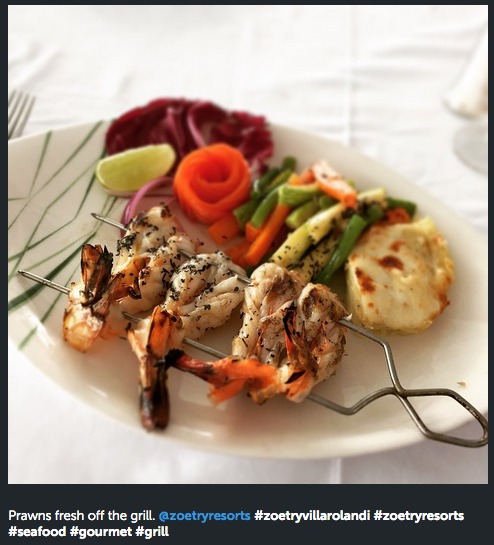 Be sure to follow us on Instagram @zoetryresorts for your daily dose of Zoetry and make sure to tag us in your favorite photos from your visit! We can’t wait to check them out! Ready for your next Zoetry escape? Now the longer you stay, the more you save! Get $50 air credit per room, per night with the Unlimited Air Credit special offer when you reserve your stay at any Zoëtry Wellness & Spa Resort by April 24, 2015 for travel from February 25, 2015 to August 21, 2015. Plus, receive up to $400 in resort coupons! What are you waiting for? 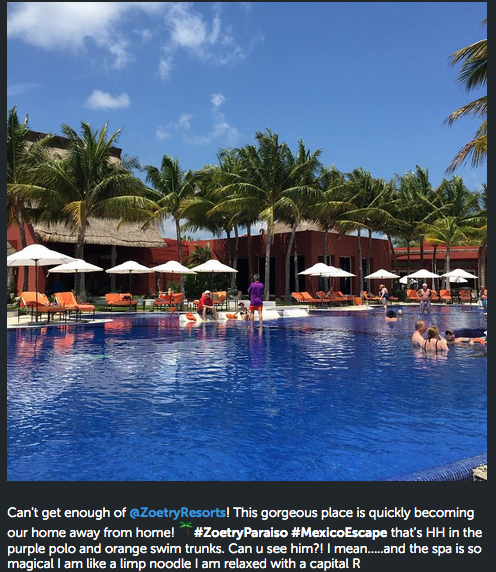 Grab your camera and get ready for the experience of a lifetime at Zoetry Wellness & Spas Resorts! 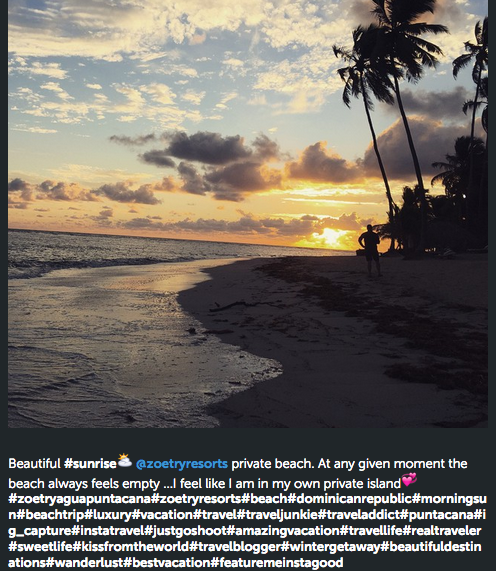 This entry was posted in Zoëtry Agua Punta Cana, Zoëtry Paraiso de la Bonita, Zoëtry Villa Rolandi, Zoëtry Wellness & Spa Resorts and tagged Endless Privileges, fan photos, instagram, special offers, unlimited air credit. Bookmark the permalink.